Do I Need 2 Photographers to Shoot My Wedding? If you are considering commissioning 2 photographers to shoot your wedding, you’re not alone! Over the last few years both the number of photographers working as a team and the demand for second shooters has increased considerably. This is primarily due to a shift in the basic requirements of many couples planning their weddings. More than ever both partners are taking an active role in the wedding planning process. 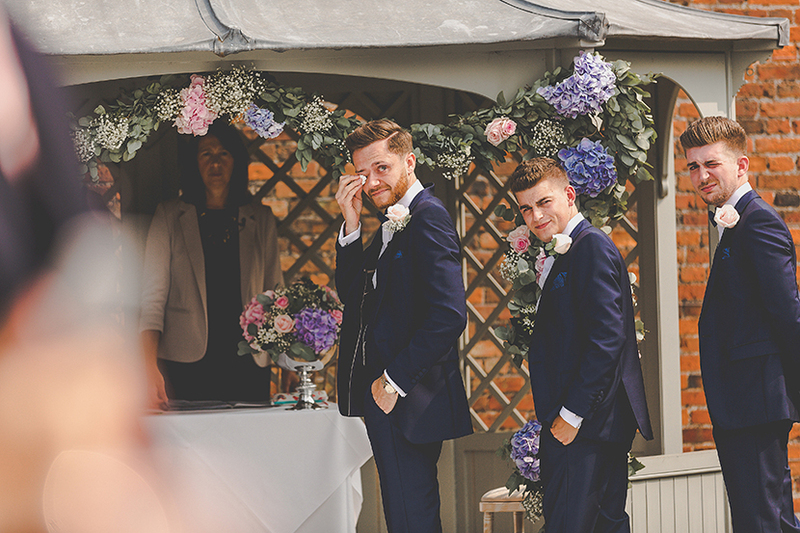 In turn wedding suppliers are increasingly targeting both brides and grooms with sites like Groomslist, I am staggered and Groom Power becoming ever more popular. IMANSCAPE is also a great resource for grooms, if you happen to be looking. It’s a long standing stereotype that a grooms only role is to turn up on the day. This, however is changing. Suppliers are being more proactive in ensuring that their marketing is more inclusive. This, is likely due to a shift in the services being requested by couples. More than ever, the limelight is being shared between both partners. Photographically speaking, this has meant that the number of couples requesting coverage of both partners preparations has risen tenfold. Coverage of both partners preparations. Coverage of both of you really makes your gallery feel that bit more complete. It’s lovely to look back through and see what you were each getting up to in the lead up to your ceremony. If you’re planning to give each other gifts, it’s a great way of seeing their reaction as they read your letter or card. They’re moments you’ll never get back. Additionally, loads of gorgeous natural stuff happens during the preparations stage. It’s also one of the only times you wont both be surrounded by guests. 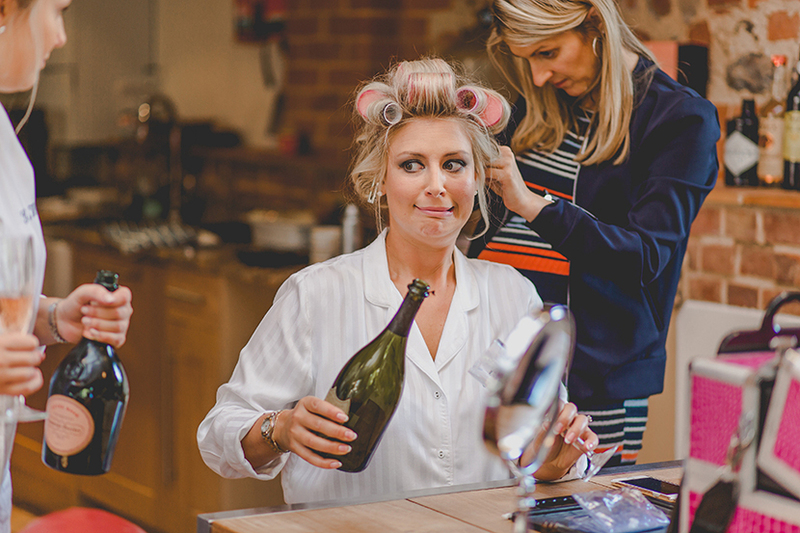 Sometimes, if you are both getting ready at the same venue, a single photographer can flit between both locations. Usually this would rely on fairly strict timelines to ensure that nothing important is missed. Not every couple has the option of getting ready at the same venue however. Additionally, strict timings are rarely advisable as it’s not uncommon for things to overrun in the morning. As much as we feel photography is important, your day is not about the photography. Having two photographers shooting pre-ceremony will usually make things more relaxed if you’re after coverage of both of you. As long as there are no photographic restrictions in place, being able to have 1 photographer at the front and 1 at the back is priceless. 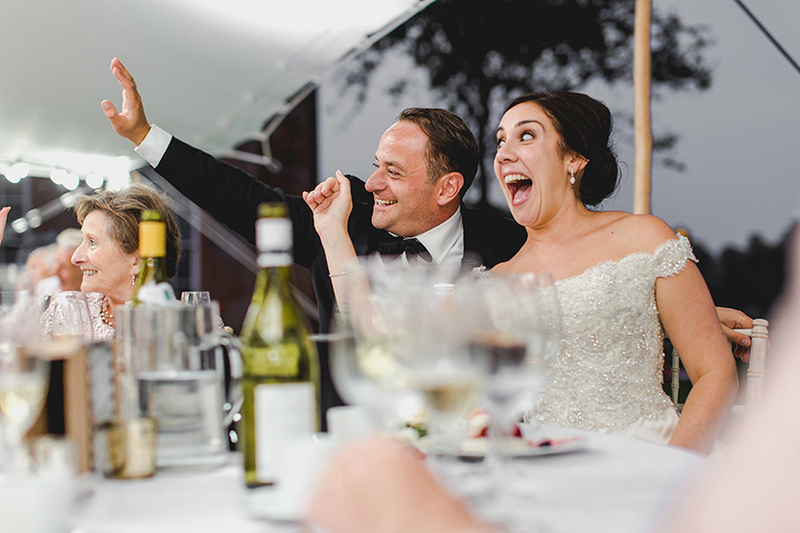 It means both the entrance (traditionally of the bride) and the reaction from their partner can be documented. Assuming you’re sticking to tradition of course- you could always opt for a first look instead. That moment is one of the main reasons that our couples tell us they’ve opted for a 2 person team. They view it as being incredibly important. If you do too, hiring 2 photographers could be something worth considering because even the best photographers in the world cannot physically be in 2 places at once. Having 2 photographers means that things such as your formal group photographs can be organised to near perfection. Whilst one is setting up and shooting, the other can be herding up the next set of guests required for a photograph. This minimises the amount of time required for photos over all. It also tends to make the whole process that little bit more seamless, and hopefully a little more enjoyable for everyone involved. Having two photographers is also super helpful if you don’t have a toastmaster or coordinator who’s on the ball. Most of our couples don’t, preferring a more relaxed, free-flowing approach to their day. Someone needs to be able to time manage though. Whilst strictly speaking, this isn’t the photographers job, when there’s 2 of you it makes it that little bit easier to clock watch. If necessary we can help get things moving if needs be, without it leaving a gap in your coverage. You’d be surprised by how many venues don’t have someone to do this and how often we’re required to shuffle things along. As the saying goes, 2 heads are better than one and photography is no exception. As referenced above, even the best photographers in the world cannot physically be in 2 places at once. Having 2 photographers means that we can be in two different places, capturing different things. For example, whilst one is photographing the details and decorations that you’ve agonised over for months, the other can be outside capturing the natural stuff that you love. Interactions between guests, giggles, games and the other fun stuff. 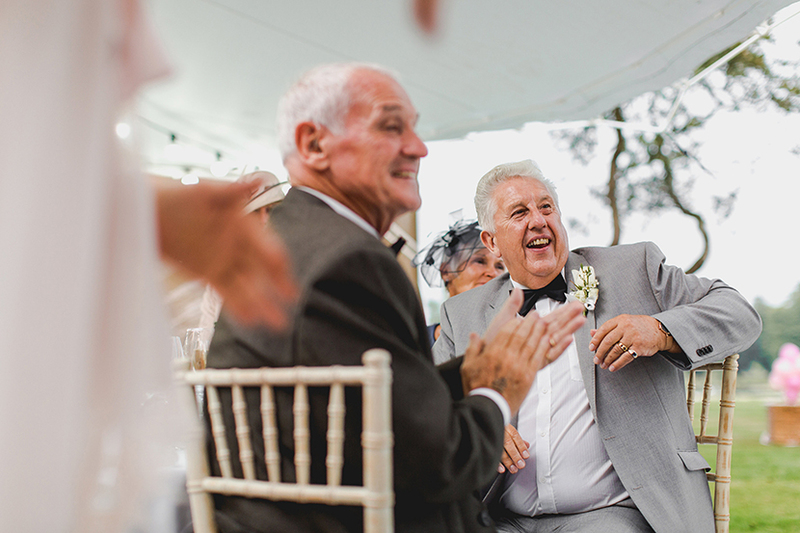 Additionally, during speeches, one can focus on the top table, whilst the other focuses on guest reactions. Of course you could then argue that 3 heads are better than 2 and 4 are better than 3. With just 2 of you though, it strikes a nice balance between having an extra level of coverage, whilst still being un-obtrusive. This also comes in real handy when the time arrives for your couples photos. If we want to get creative and produce something unique, things become a lot easier with 2 of you on hand. There’s always someone who can hold veils, froof dresses, understand the photography mumbo jumbo, hold lights, sort off camera flashes, or run back to the main kit bag if needed. There’s also someone for you to chat away to throughout, providing a welcome distraction whilst you’re being photographed. So if you’re really not keen on being in front of the camera, contrary to what you might think, having 2 photographers could actually help you feel more at ease. There wont always be two sets of cameras on you at all times. It’s about striking a balance to capture the best results. A good photography team values quality over quantity. Although no doubt you’ll want 2 photographers who work in a similar way, having 2 different perspectives can be so beneficial and provide a whole different dimension to your coverage. No 2 photographers will look at scene and see it in the exact same way. To some couples this is really important. Sometimes its a cultural thing and sometimes it is a personal preference thing. Not all photography teams will work as 1 male and 1 female, though so do investigate prior to booking if this is important to you. We know that several couples have mentioned to us that they feel much more comfortable knowing that the bride is being photographed in the morning by another female for example. All photographers should be professionals, so really gender shouldn’t be a deciding issue when considering who to hire for your wedding (so long as the work is good). Adding to which, I have lost count of the amount of times i’m asked for opinions on make up, or how often i’ve needed to assist brides with toilet duties. Again these things are not strictly a photographers job, but one that most will gladly assist with. Why? Because we want your day to be perfect for you and we’ll help in any way we can. It comes back to having that extra pair of hands I guess. If you are leaning towards hiring two photographers, there are some key things that you should consider. Make sure you hire a photography team. OR ask your primary to only book a second shooter who’s also a professional photographer. You will not be able to book 2 separate photographers and just have them both turn up on the day. This is generally against the T&Cs stated in most photographers contracts. If you do this, you could end up in a situation where one, or both photographers leave. This is a big no no. 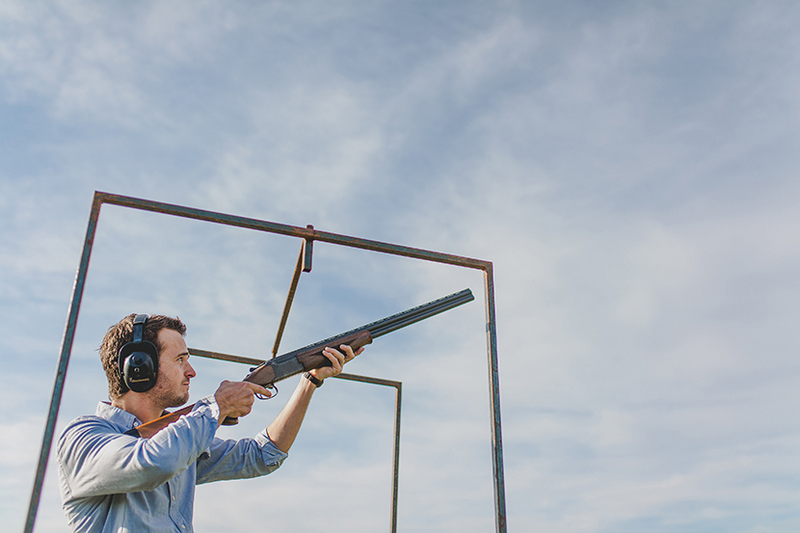 When hiring a photographer or booking a second shooter, make sure that both of the photographers are professional photographers. It sounds obvious, but don’t make the mistake of assuming. Sometimes a photographer will just bring along their wife, sister, son etc and call them a second shooter. This is not what a second shooter should be. There’s no sense in having 2 photographers if you’re really getting just 1 and an un invited guest with a camera. Price. Hiring 2 photographers is likely to be more costly than just having 1. Again it seems obvious, but it’s something many people don’t think of. There are 2 people who need to be paid, so costs increase. Using a photography team who are also a couple may be cheaper over all. The reason for this is because a husband and wife type team are more likely to share the same set of expenses, household bills etc. Therefore there wont be two different businesses to sustain to cover in the overall fee. A lone photographer who looks to hire a second photographer will need to cover their own expenses and then pay someone else too. Always remember that having 1 good photographer is far, far better than having 2 mediocre ones. Invest as much as you possibly can in your wedding photography and see what you can realistically obtain for that amount. If it will only buy you 1 good photographer, go with that. There’s no point having 2 sets of rubbish pictures when you could have had 1 good set.